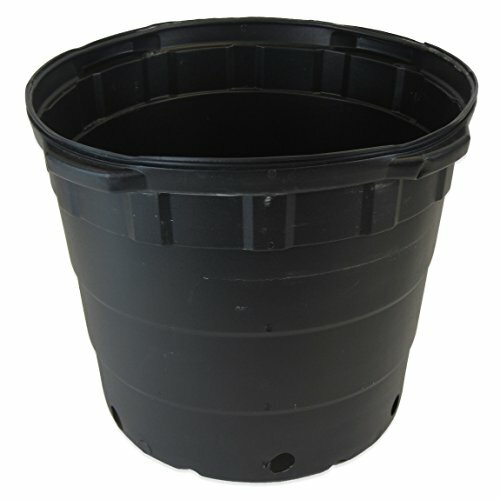 Round plastic nursery pots are inexpensive & durable perfect for many types of soil or hydroponic growing media. The raised rim design allows easy handling & easy stack ability when not in use. Can be reused indefinitely. Please note that our pots are measured in trade gallon. A trade gallon is a term used to denote the sizes of standard plant containers in horticultural Industries. A trade gallon is equal to approximately 0.71 U.S. Liquid gallon. Dimensions for pot: 14.5" x 17" x 17"
If you have any questions about this product by Viagrow, contact us by completing and submitting the form below. If you are looking for a specif part number, please include it with your message.